There are many magical nights in the year, which mark ancestral celebrations. The three novels in The Eyre Hall Trilogy reference one of these traditions. I’ve already written posts on Halloween, Christmas, and Twelfth Night. In this case, I’d like to talk about ‘Midsummer’, the title of the final installment of The Eyre Hall Trilogy, which I’ve just published. Midsummer is a magical night, as Shakespeare reminded us; it’s a night to make wishes and dream that they will come true. In the Northern Hemisphere, the 21st of June, the summer solstice, or the longest day of the year, which has been celebrated throughout history as a day of magic. It is the one day of the year when the sun is at its highest point in the sky. 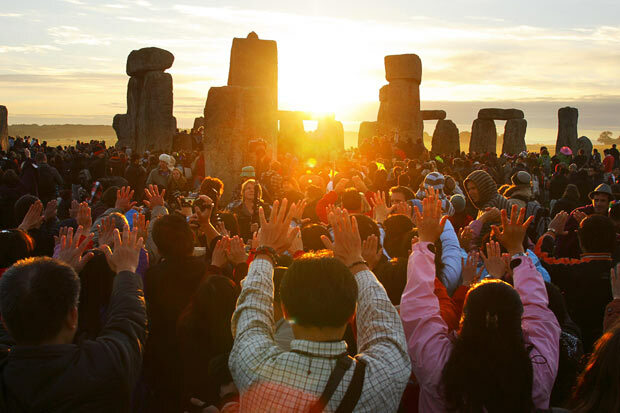 The summer solstice marks the middle of the year. Six months later, comes the winter solstice, which is the shortest day of the year. Have you ever wondered why Midsummer’s Day is celebrated between the 21st of June coinciding with the summer solstice and the 24th of June coinciding with the festivity of St. John? Nowadays this date represents the beginning of summer, but this wasn’t always the case. We need to go back to Anglo-Saxon times to understand the meaning of the word. The word midsummer comes to us from Old English, although it probably comes from an older Germanic language. The Anglo-Saxon calendar had two seasons, summer and winter. For these calendars, “Midsummer’s Day” would have fallen near the middle of their summer. The beginning of summer would have been around May Day, so the middle os June would have been the middle of the ‘warm season’. Spring and Autumn were not used for the seasons until Middle English (approximately 1400). The summer solstice, was one of the pagan festivals taken over by the early Christian church, which aligned it with the feast of St John the Baptist, on 24th June. 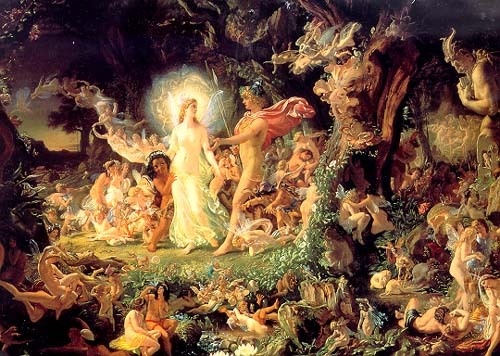 By the sixteenth century, Midsummer Day had a mixture of Christian and Pagan meaning. In Tudor times, the typical celebration on Midsummer’s Day included Marching Watches, which were parades accompanied by lit torches with thousands of marchers. 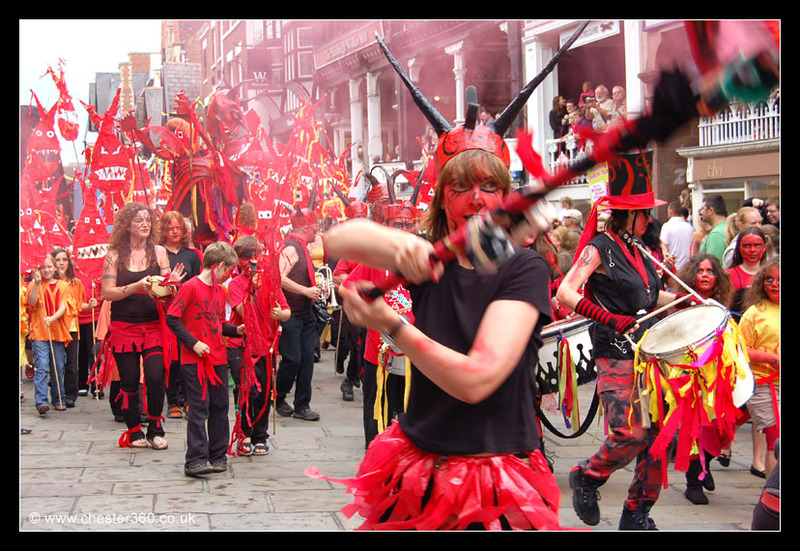 There would have been Morris dancers, giant straw puppets and hobby horses, and pageants. Fire and the sun were also important themes, so there were bonfires, too. The Fire Wheel is an ancient ceremony from the British Isles. The wheel was set on fire and rolled down a hillside. If the fire, which represented the sun, burned until the wheel reached the bottom of the hill, it was thought to bring good fortune to the entire community. It was also traditional to use flowers and plants as decorations especially front doors, which were decorated with garlands or wreaths. There was drinking, merrymaking and for everyone on this magical night in which wishes and dreams were made. Midsummer celebrations often began at sunset the evening prior to Midsummer. The twilight hours were considered magical. It was a time when fairies and witches were more active. It was also considered the best day of the year for enchantments. This magical quality was immortalised by William Shakespeare in “A Midsummer’s Night Dream”. The Eyre Hall Trilogy ends on Midsummer’s Day, I’m afraid I can’t add an excerpt because that would be a huge spoiler! I’ve already told you it has a happy/satisfactory and hopeful ending, that’s why the cover shows flowers on a bright summer’s day. The final scene takes place on Midsummer’s Day at Eyre Hall, while the residents are preparing a celebration in the gardens for the local families, especially children. Don’t forget to make a wish on this magical night!